I was speaking at the Tallahassee Chamber of Commerce "Lunch & Learn" last week when I was fortunate enough to hear local real estate appraiser Greg Lane talk about some key new commercial developments. These active developments are what Greg described as game-changers for Tallahassee, so I asked him to share his observations with our readers. 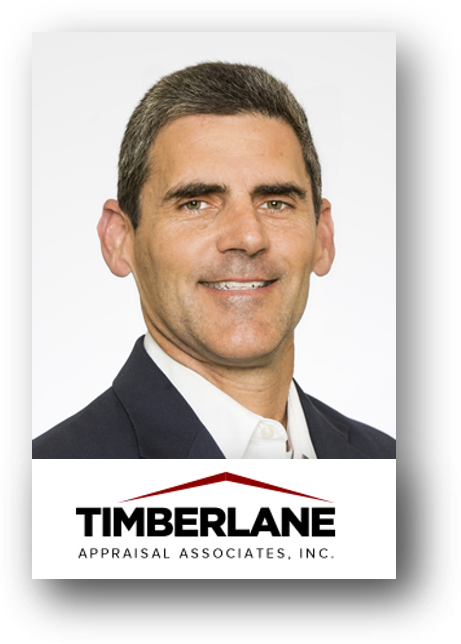 Before we begin, I'd like to point out that Greg is the Vice President of Timberlane Appraisal and has been specializing in residential real estate appraisals for more than 25 years. 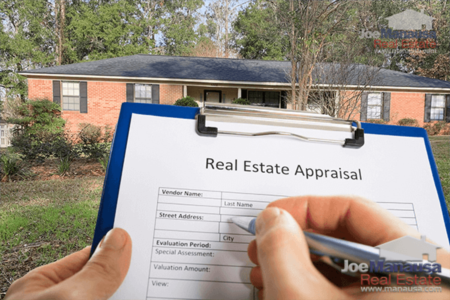 Ask most real estate agents who to turn to for appraisals and Greg's name is often the answer. Joe: What are some of the commercial developments you see that are having a major impact on Tallahassee? Greg: There is a lot going on around Tallahassee right now, but the big 5 "game changers" are the TMH expansion, Bannerman Crossing, the Centre of Tallahassee, Market Square and Cascades Park. Joe: OK, let's take them one at a time, why do you consider the expansion of TMH a game changer? Greg: 340,000 square feet. Imagine Premier Fitness Center, multiply it by 6, that’s how large this will be. There will be hundreds of medical professionals moving to our area to fill this space, to buy and rent homes and to shop, hopefully locally. No job is recession proof, but most of those jobs are well paying and recession resistant (unlike my job). Add to that, TOC is also expanding and adding new buildings and doctors to its staff. Joe: OK, so more space equates to more doctors, nurses, and staff, meaning more jobs. That is great and should be a nice impact on our local economy. Ok. So tell us about Bannerman Crossing. Greg: Bannerman Crossing is now the 2nd most popular reason I hear as to why people move to Bradfordville; the first is schools. If you live in Killearn Lakes, you really have everything you need within a mile, Target, Publix, fine and casual dining. The new Hanger 38 concept with bowling, arcade, and BBQ is much anticipated and will fill the parking lot. A new residential development is about to begin at the NW end, it will do well. Joe: Years ago I lived in Killearn Lakes, and we used to joke that we had to "leave the compound" just to do minor shopping. Bannerman Crossing is certainly filling that void and making it even more desirable to live in KLP. So tell us, what is going on with the old Tallahassee Mall? Greg: It has not evolved exactly how it was envisioned, but its surviving and the new direction of bidding for State office space (like DOH) is the perfect fit, in my opinion. Joe: Yeah, it seems like a lot of the passion behind the development was lost when Alex Baker (one of the main developers of the renovation project) died in 2017. As you pointed out last week, the early tenants of the Centre have to be struggling and if the developers fill up the rest of the space with State employees it might make for a huge save. So why do you have Market Square on the list? Greg: Market Square will be the new downtown for North Tallahassee. It is getting a new passive park. Sage, Island Wings, Gordos and Momos appear to be only getting busier. I remember going to Market Square on my high school/college budgets and seeing a cheap movie at Mugs and movies where you could get popcorn, soda and sit in a revolving vinyl chair. Fast-forward 30 years and as a grownup, I will go to the new Cinopolis planned for Market Square, and I will be able to eat gourmet popcorn, possibly have an adult beverage and sit in a reclining leather chair. I have a feeling it will put a larger dent in my budget but will be worth the experience. Joe: Yeah, I know what you mean. Michelle and I went to the movies at the Centre of Tallahassee this past weekend ... cheap date night no longer exists. OK, so tell us about Cascades Park and why it made your list of the big 5. Greg: The park turned out better than I could have imagined, it is a draw for many events and we should be proud of what it has become. I am hoping that the new residential/retail project, which will include townhomes and apartments, will meet one of the Chambers goals of attracting and sustaining young professionals to our area. I'm excited to see how that turns out. 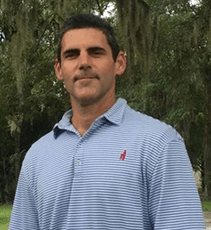 Joe: Thanks for sharing your thoughts on the commercial developments Greg, can you peek into your crystal ball and tell us what you see for the near future of home sales in Tallahassee? Greg: It's going to be slower and steady, but still a great 2019 for realtors, bankers, builders and hopefully everyone else. We expect high demand, we are still seeing sine bidding wars, still talking to buyers who can't find what they want and are waiting for new inventory. There continues to be interest in new construction. 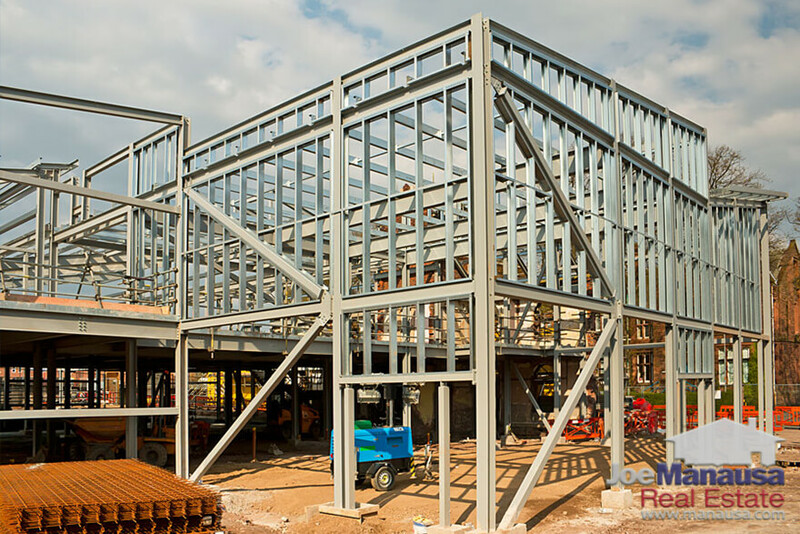 Just like there will always be those who have to have a new car, the same is true for new construction, regardless of the increasing costs. People will find a way to get a new house. Fortunately, a lot of the new construction buyers in subdivisions like Canopy and Southwood are retirees, they have the cash and they are willing to pay for a new house. They're paying $160 to $190 per square foot for that new house on a ¼ acre. Most of the custom home projects we see start at $200 per square foot. Due to increasing costs and the principle of “something has to give”, be prepared to see more attached and semi-attached housing. And If you built one-story semi-attached townhomes, you will sell them before they are complete; there is a lot of pent up demand for that product. Interest in Midtown will not wane, it will always be a draw, especially for those who work at the hospitals or downtown. You will see more renovations in Midtown and more homes demolished to make room for more new construction. If my kids were moving back to town, they had a good job and wanted to start a family, I will tell them to move to the eastern corridor, Mahan, Miccosukee, Buck Lake. Mahan Drive is the easiest access to I-10, schools, restaurants, offices, and retail will continue to flourish in the area. Three new developments, Camellia, Green Acres, and the Retreat are slated: over 180 homes in total between them, including both detached and attached homes. It is getting hot in the NE kitchen, home prices continue to rise. 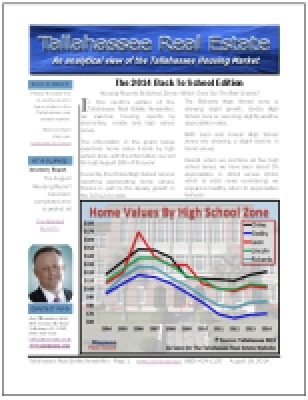 I think many young buyers be looking towards SE Tallahassee (Southwood and several other new developments) and we will start to see more resales and new construction NW Tallahassee, as well as more interest in mature, established neighborhoods like Terrence Heights, Holly Hills, Forest Heights. Joe: OK, what are your concerns about the market this year, the potential challenges ahead? Affordability - Nationally, the median sales price for a single-family detached residential home was $241,000 in 2018, ($227,000 in Leon County); you need good credit and some cash. Labor Shortage – builders sharing subcontractors and tradespeople, this is a huge problem, and it is not getting better. Consumer Confidence is good: When confidence wanes, the upper price range will slow down, but people buying homes under the median still need a home, that market should continue to do well. Rising Rates: Rates go up, the upper price range will slow down and feel it; many of these are move-up buyers. Construction Costs: The crazy things that people say: "I will wait until construction costs go back down." Well, they never have and they won't now; neither will labor costs. Limited Feasible lots: Buy a lot for $75k, built a 2,000 sq.ft home, you are in the $350K to $400K range to start. The reality, is fewer of those lots available. There are plenty over $100k, but that means you may be building a new $450K+ house. Joe: I can see a lot of these obstacles creating sticker-shock with home buyers; but once they realize that prices are only going to move higher, market activity will resume. In the long run, it's the economics of our labor market that will determine demand, and it is the supply of homes, townhomes, condominiums, and multi-family housing that will determine just how how prices will go. Thanks again to Greg Lane of Timerberlane Appraisal for sharing his expertise with us today.